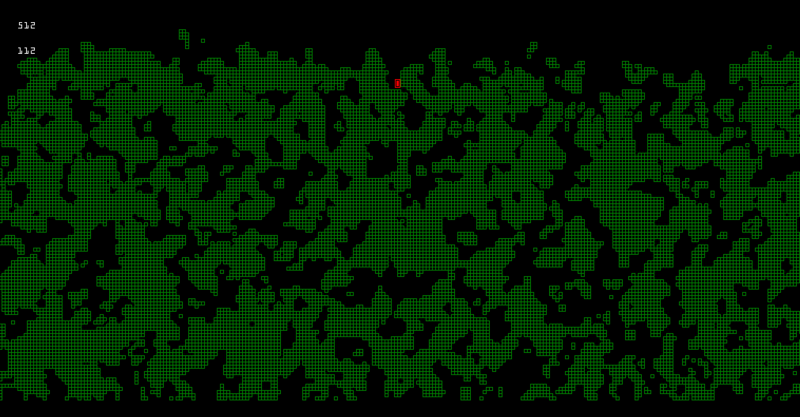 All of the terrain you see here has been produced using value noise, just like in Project Alpha. 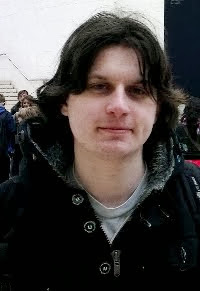 However in this case, the resulting output is a tile type such as dirt or grass, rather than a height value. 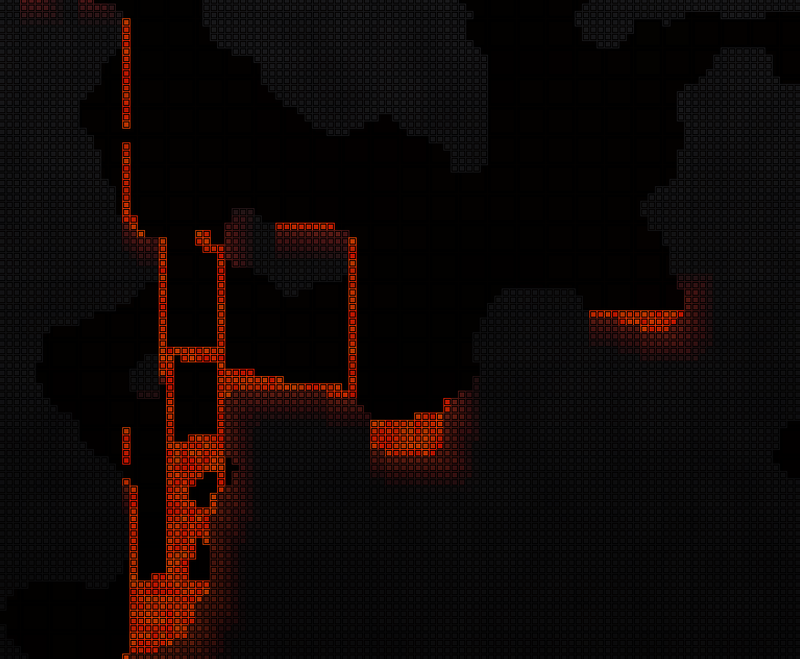 Also note that there is water with some very basic fluid dynamics. 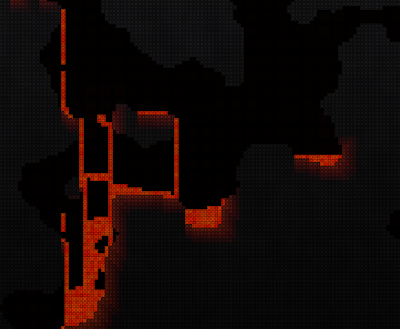 Here you can see some flowing lava, complete with lighting of the surrounding tiles. The world that is generated can be vast and full of caverns compromising of different materials such as dirt, grass, rock, sand and fluids such as water and the lava seen here. The map view of the world. 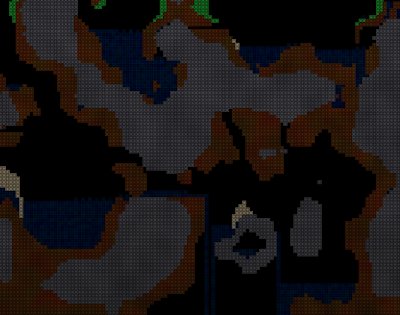 The map view in exactly the same way as the normal game view, just at a lower resolution and with the colours removed.